In the farthest reaches of the Wastes, at the heart of the forbidden 'Exclusionary Zone', and far beyond the march of the Blighted Front, there rises a lonely, forlorn Keep whose walls protect an empty, dead city. The streets are barren. Walls unkept, high watchtowers of white stone with craven protectors yet guarding battlements erected by a people forgotten. Few remain who remember this people's dreams, their hopes, their vision. Others may remember their champions, their heroes. All of these men of valor are dead, now. Their great victories reduced to nothingness, in this, their home. In this city of dead heroes, only one remembers. This is Ariel's Keep. Once something more, but now it stands as the crown-city of the Lord of the Blight, a bastion without reproach and beyond all the hopes and power of man. This is the seat of Ossus, bound to his throne by heavy chains - which, if he should ever shake free, would mark the end of days for all things. Here, his inner council kneels at his feet, whispering knowings and the movements of his enemies; and here, he inflicts his design to subvert, pervert, and destroy the peoples of Aeria. While few would now know it, Ariel's Keep is among the oldest cities in all the world, one of the earliest bastions of civilization. More than this, it is the first-known city of Man - built in an age when only the yet-youthful cities of the Alfar stood as examples of civic majesty. Named for Ariel, or Aryll, a mythical sorceress, spirit, or immortal, who, scorned by her lover, yet scorned the world by cursing it with the unending frost seen in the northern-most expanses. In truth, the name is almost certainly apocryphal in origin, the city itself older than the name given to it. Ariel's Keep has waxed and waned over untold centuries, its walls protecting multiple peoples and Kings who have come to call it home, only to be forced to abandon it in great numbers, leaving a remnant to welcome the next settlers of this northern-most city. 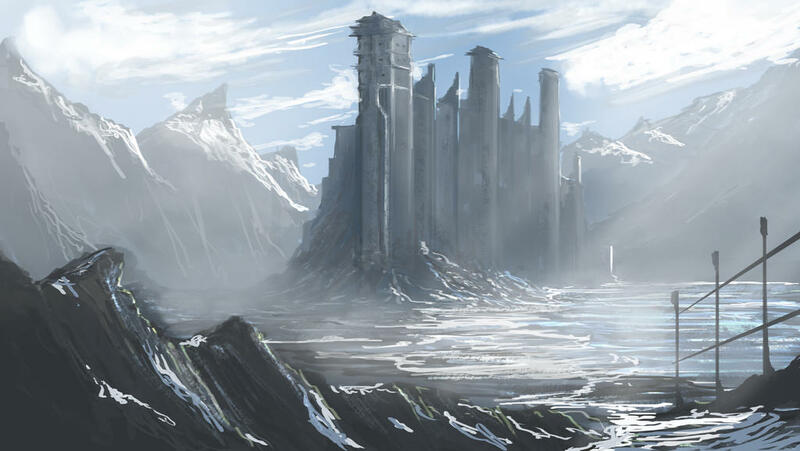 Ariel's Keep has always been a place of some renown, at least in stories if not in fact, as the origin and true home of the Shires, first of the Dragon-blooded families of men known for producing heroes of such renown. The most recent incarnation of the city was actually founded and spearheaded by a Shire - Thaddeus Shire, the 'Inferno' and wielder of Lacklustre. More than eight hundred years prior to the modern age, Thaddeus Shire led a band of warriors, close-friends and allies, along with a swath of hearty settlers to retake the Keep from the now mostly forgotten 'Maelstrom', described only as a creature of wind and death in the legends - who had, itself, driven out the previous owners with the aid of its followers. Thaddeus succeeded in retaking the Keep and establishing a new principality, only to have it fall apart again within his long lifetime. Thaddeus, his family, and his people were driven out by Ossus, the 'Archfiend of Aeria', who then established his personal domain within the Keep. 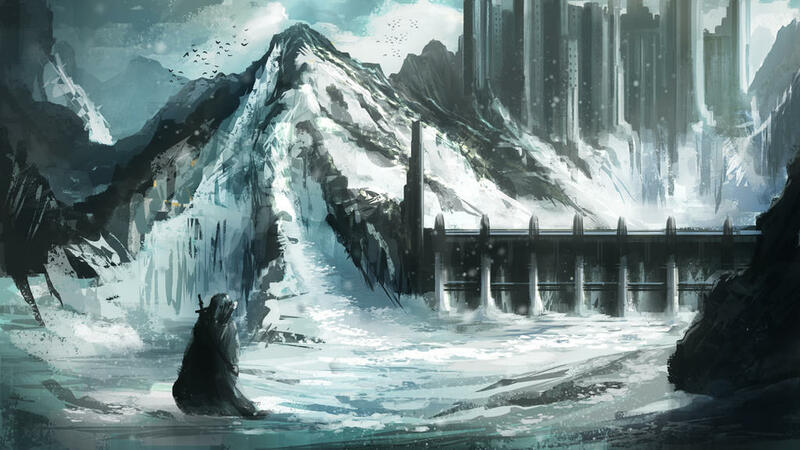 Thaddeus and his people would go on to establish the longer-lasting principality of 'Boreal', but although subsequent generations attempted to reclaim the ancestral home, from then on the Keep would remain the personal sanctum of Ossus. For six hundred years, Ariel's Keep remained lost, silent, and empty. It passed out of the short memory of man, becoming only a distant ruin in the frigid, sunless north. Ossus would remain there, becoming a horror at the edge of common understanding while he perpetuated his dark and unknown designs. What is known of this era is sparse; but what can be known for sure is that Ossus, over those next six centuries, methodically hunted all branches of the Shire family, winnowing their number until there were only three, whilst simultaniously gathering an impressive collection of ancient, powerful, and otherwise eldritch artifacts within this Keep. What happened next has been recounted again and again, that the final demise of the Shire family and the birth of the Blight is well-known to those scholars versed in the deeds of the heroes of Surna. When Ossus left the heroes of Surna broken behind him, he went into deep isolation within Ariel's Keep for many years, before finally emerging with the final death of Ornulus and the creation of a new, permanent portal into Hell - an act which had not been done for two thousand years at the very least. This gateway, within his sanctum at Ariel's Keep, remains open to this day, and has perpetuated the rapid conquest of much of Hell by the Blight, and the subsequent divine conflict between Bane and he. The emergence of the Blight has utterly changed the nature of Ariel's Keep. It has become a deadlier place for life than ever before, the ever-falling snow concealing the churning, devouring biomass which now pervades the rock, tundra, and permafrost. Untold underground tunnels exist below, like arteries in the body of a baleful organism. Blighted thralls are spewed onto the surface, crying out in their birthing pains, whilst others crawl below, feeding at the teat of the processed flesh of thousands. Blight Casters marshall the thralls into hordes, hundreds of thousands strong, which they lead against the realms of mortalkind in their endless hunger. Above them all, the Blighted Dragons which form Ossus' most inner guard circle, the seven, of which, to this date, only one has been felled - Tahniir, Volkun, Domniir, Vaminoril, Lokuun, Vahnorax, Tahkuun. Ariel's Keep is the heart of the world-wide Blight infestation - its ultimate source, and its most resolute holding. It was the target of the First Blight Crusade, the only expedition against the Blight to ever reach its walls, let alone penetrate within - the same Crusade championed by the heroes of Surna, including Grandmaster Vindicator Zayl Rathman, erstwhile Dreadspawn Thorn Razel, amongst others, matched by a united force of Vindicators, Dragonkin, and defiant Dragons led by the vaunted Dahsiirv, which resulted in Ossus' imprisonment upon his throne. As of yet, Ossus remains imprisoned - bound to his throne so that the Blight might yet be culled, and put to an end. His influence, however, continues unabated, his will carried out by all his servants without question. Should Ossus ever shake free of his chains, however, it is feared by many that there is nothing in all the Sphere which could stop the apocalypse to come.